All the details of the talks are shown below. The first stop in the series has me visiting Sheffield on the 28th January 2019, to do a talk on Chocolatey. The second stop has me visiting Newcastle to present a talk on Cake on the 29th January 2019. Thanks to Tom for helping to set this up! The third stop of the tour is Middlesborough to present the same talk on Cake on the 30th January 2019. Thanks again to Tom for helping to set this up! 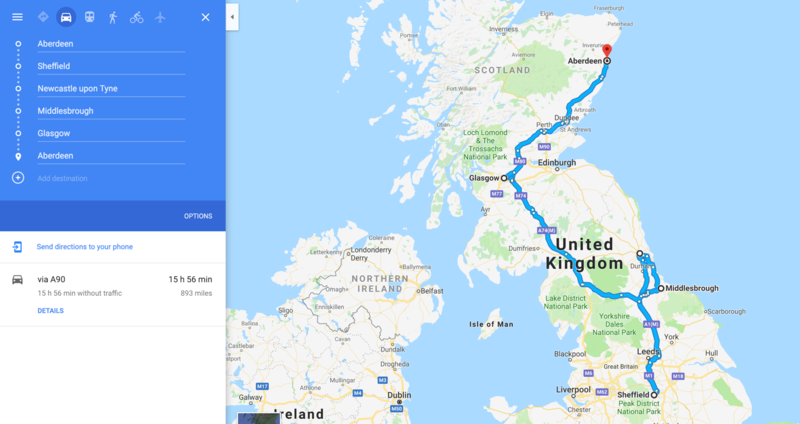 The final stop on the tour has me travelling to Glasgow to do a new talk on using Packer and Terraform on the 31st January 2019. Thanks to Paul for helping to set this up! Roughly speaking, this will be around 900 miles of driving, and should take around 16 hours. It's a good thing that I have just bought a couple new Audible books!